SUN PRAIRIE—Margaret M. Soma, age 90, passed away at home in Sun Prairie on Wednesday, March 13, 2019. She was born on June 12, 1928, in Monroe County to Louis and Lela (Seflow) Birkholz. She married Nenfred Soma on June 12, 1947, in Wisconsin Dells. Margaret worked at Wisconsin Porcelain and the Sun Prairie School System. 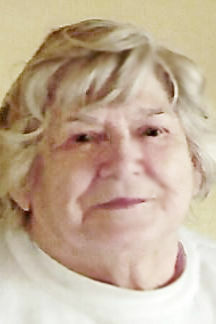 She is survived by a son, Kenneth of Sun Prairie; daughter, Judy (Emil) Lesch of New Market, Tenn.; two grandchildren, Nick Lesch and Ryan (Brandi) Lesch, all of New Market, Tenn.; three great-grandchildren, Makayla, Vincent and Hunter; two sisters, Gertrude Lobenstein, and Bernice Faltersack; sister-in-lawm Jessie Birkholz, all of Sun Prairie; and many nieces and nephews. She is preceded in death by her parents; her husband; eight brothers, Henry, Martin, Edward, Alvin, Carl, Donald, Harvey, and Kenneth; and three sisters, Freida, Hilda, and Anne. A Funeral Service will be held at 11 a.m. on Monday, March 18, 2019, at OUR SAVIORS LUTHERAN CHURCH, 550 Lincoln Drive, in Sun Prairie. Pastor Tim Hansen will preside. Burial will be at Highland Memory Garden. A visitation will be held at 9:30 a.m. until the time of service at the church on Monday. In lieu of flowers, memorials may be made Our Savior’s Lutheran Church. the life of: Soma, Margaret M.